Dreaming of that perfect beach vacation and don’t want to forget something important? We’ve done the work for you so all you have to do is get everything on the list, relax, and enjoy a wonderful time at the beach with your kids! 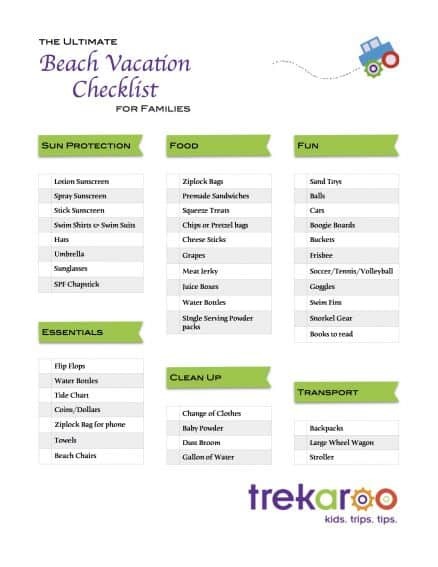 Be sure to print out our free PRINTABLE of the Ultimate Beach Vacation Checklist for Families, available at the end of this post. Located on Grand Bahama Island, and just 55 miles off the coast of Florida, Grand Lucayan, Bahamas sits along the turquoise Caribbean Sea. With 542 guest rooms and suites this luxurious hotel provides an authentic and classical Bahamian experience. Enjoy spacious accommodations, a selection of restaurants, three swimming pools, four tennis courts, a Senses Spa & Fitness Center, complimentary daily resort activities, 18-hole championship golf course designed by Robert Trent Jones Jr., versatile meeting space and a Las Vegas-style casino. Like them on Facebook, or follow them on Twitter, @grandlucayan. Take advantage of their Winter Warm Up Sale. Book by February 20, 2015 with travel by February 28,2015. 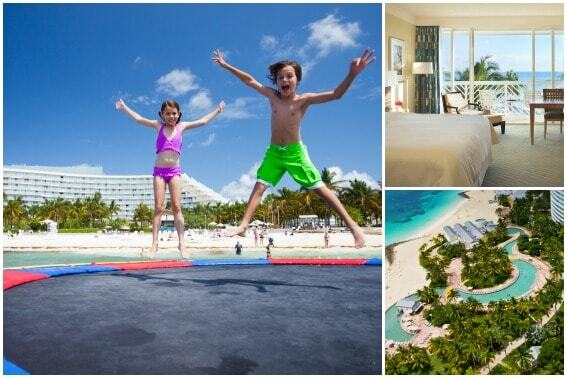 Kids stay & eat free, rates start at just $110, plus receive a $100 Resort Credit on stays 4-nights or longer. BOOK NOW with code RTWIN4. No matter the weather or the season, it’s important to take precaution from sun exposure. Sunscreen is essential, but hats, rash guards, and umbrellas are an important part of protection. Most recommend using a broad spectrum of UVA/UVB sunscreen at 30 SPF or higher and reapplying every 2 hours or more if kids are swimming. Many mainstream stores now sell rash guards (swim shirts) for kids at a great price; very cute now, they are incredibly helpful for protecting kid’s gentle skin! They also are very important for protection against painful rash from boogie boards. 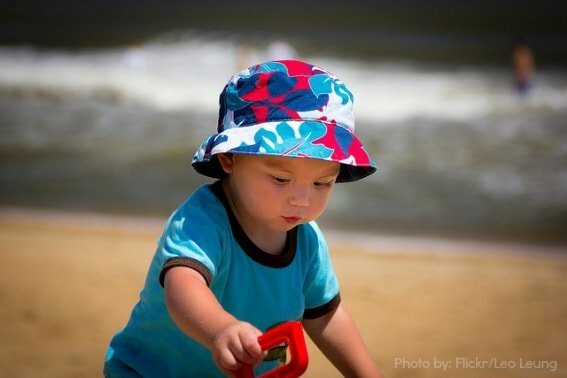 Top Tip: Use a waterproof lotion sunscreen 30 minutes before you get to the beach to apply to all your kid’s skin. Then use a spray sunscreen to reapply 2 hours later when you are at the beach. Lotion sunscreen is incredibly difficult to apply when kids have wet or sandy skin! Ziplock bag for your phone or camera. Nothing keeps the sand out better and you can often use the device through the bag! Low to the ground chairs (many have backpack straps which make it easy to carry). Only bring a chair for parents – kids won’t sit still for any length of time to make it worth it! 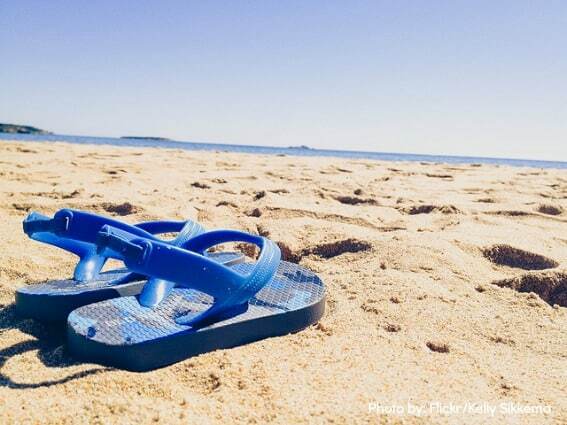 Safety Tip: Make sure your kids keep their shoes/flip-flops on from the car to your spot on the sand. Broken glass, hot coals from old fires, and hot sand can all be traps to hurt little feet! Eating is an important part of every day, but mixing that with sandy hands can make it all a tricky proposition. Bring a cooler, but pick mostly foods that don’t have to stay cold. 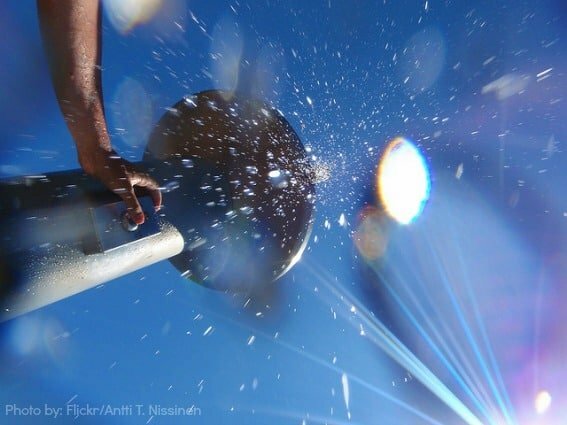 Here are some tried and true tips and suggestions for what works well. Ziplock bag everything to keep the sand out. Pre-made sandwiches cut in half that kids can hold with a baggie around it. Serve one half at a time so if they drop it there is a clean half! Squeeze yogurt, applesauce, or other squeeze treats. Individual bags of chips or pretzels – trust me you don’t want your kid reaching their sandy hand into the family size bag! Individually wrapped containers of cheese sticks, applesauce, fruit leathers, etc. Grapes – they come with their own self-protection and are easy to rinse off. Meat jerky – it’s easy to hold and doesn’t get sandy. 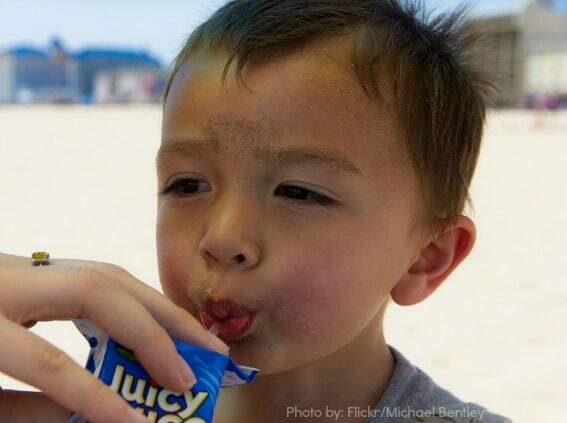 Top Tip: Encourage your kids to drink a lot during the day so that they don’t get dehydrated from the sun and heat. Bring Gatorade or Crystal Light single-serving powder packets to mix into water bottles for a rehydrating drink. For elementary kids: boogie boards, buckets to collect sea creatures and shells, kites, frisbees, soccer, tennis, or volleyballs. When dad brings a man-sized shovel, that is pretty fun! For teens and older: goggles, swim fins, and snorkel gear if it is a safe beach for swimming. Top Tip: Have each child pack their own backpack with their fun items. It makes one less big thing for parents to carry! Sand can be the bane of every mom and dad who have to do the impossible job of clean up. Sometimes I wish for a teleporter like on Star Trek that could take my kids from the beach to our shower at home! Here are some strategies that can help with the tough clean up job. Rinse off in the water as much as possible and dry off as thoroughly. Dust sticky skin with baby powder and watch the sand magically fall off! Bring a change of clothes for yourself and the kids and consider changing at the beach (wrap a towel around for privacy). Rinse off feet and legs at the beach showers; these are cold and generally are difficult to use with kids beyond feet! Finish dusting off feet with baby powder. Use a small dust broom (have one in the car if possible) to get sand off of feet, toys, and boogie boards. 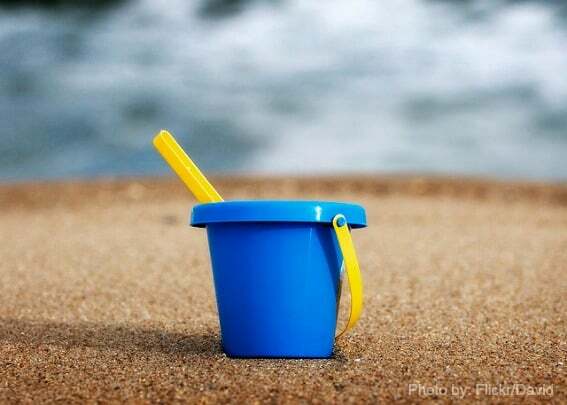 Fill an old milk jug with water before your beach trip and keep it in the car. Use this water for rinsing off boogie boards, sand toys, and shoes when you get back to the car. Top Tip: Bring along some baby powder take it with you, or always keep some in the car! Use it to dry off your skin and dust off all remaining sand. It can be easier and nicer for kids than taking a really cold shower and then wrapping up in a sandy towel. It’s also really helpful for changing sandy diapers! How Do I Bring It All??? Sometimes I’m sure we are bringing everything to the beach, including the kitchen sink. This can mean a very grumpy mom (me!) on the way back from the sand and I then swear we are never coming again. This isn’t good for any of us. Here’s some tips to help you get what you need to and from the beach. For kids that are old enough, have them pack their backpack with everything they need for the day. Water bottle, towel, a few sand toys, and sunscreen. Try to squeeze in a change of clothes too. Pack your own backpack with your towel, extra sunscreen, lip balm, ziplock bags for your phone and keys, spare change, and personal essentials. Let kids bring as much as they can reasonably carry. This really helps to limit the tendency to bring too much. Boogie boards make for great transport tools. Pile a chair and backpack on top and let a kid pull it across the sand. 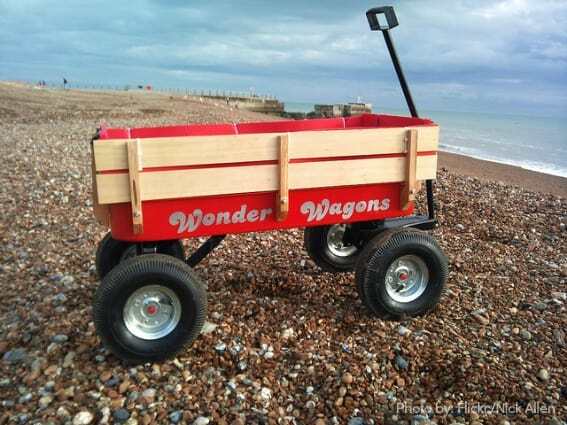 For parents with babies and toddlers, use a wagon or stroller with big wheels to get things across the sand. nsider the Lazee Move 3-in-1 cart, chair, table (pictured right). 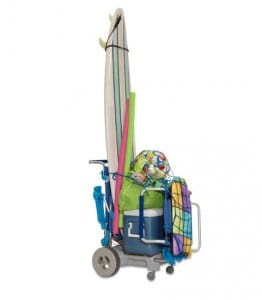 The Lazee Move includes a cart with tough, sand conquering tires that can be loaded up with all sorts of beach gear, but the genius of this products is that the included chair snaps intot he cart, serving as the easy-to-use handle! Top Tip: Consider which things are not necessary; a great day at the beach can be had even if you sit on the sand on a towel instead of in a chair or on a blanket. Don’t get weighed down by things that will make the transport miserable for everyone! Airplane Travel Tip: Pack an extra suitcase with beach gear including large bottles of sunscreen and pay to check it. In the long run, it will save you money compared to purchases or rentals at your beach destination. Did I miss anything? Add your suggestions for our Beach Vacation Checklist in the comments below! Thank you for sharing such a great and informative post for those who might be going to the beach! There are lots of things to do at the beach and it is important to be prepared for all the fun activities.